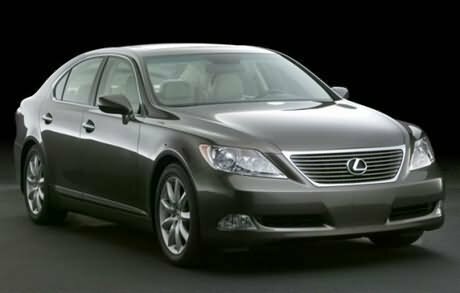 Toyota Lexus LS 460 is a wonderful luxury sedan from Toyota. Placed in D+ segment the car is sure to capture sizeable portion in the Indian car market. Appearance: Toyota Lexus LS 460 has beautiful exterior and imposing looks. The exterior consists of front grille, broad headlamps and taillights cluster. The smooth bodylines flow from the front to the rear portion of the vehicle. Comfort: Comfort and luxury are the main features of Toyota Lexus LS 460. The car has power steering and can easily seat 5 individuals. The car has a long wheel base and therefore provides greater comfort to the occupants. The high quality wood as well as leather is used in the interiors and the metal highlights enhance the feeling of luxury and comfort. Several small storage spaces are positioned cleverly throughout the cabin. The car also has excellent headroom as well as legroom. The passengers can enjoy 45 degree recliner along with massager and adjustable leg rest, cooler and a hi-tech audio system. Safety: Toyota Lexus LS 460 is packed with advanced safety features. The standard safety features include Electronic Brake Force Distribution (EBD), Antilock Braking System (ABS) with Brake Assist, EPS, VSC (Vehicle Stability Control) Dual Supplemental Restraint Front Airbags, Driver and Front Passenger Knee Airbags, Front and Rear Side Airbags, Full Length Side Curtain Airbags and Parking Assist. Engine: Toyota Lexus LS 460 has 4.6 L, V-8 engine which produces a maximum power of 380 hp and a torque of 370 ft-lbs. It is coupled with 8 speed automatic transmission. Price: The price of Toyota Lexus LS 460 is approximate Rs.65 Lakhs. However, the price specified is indicative price only and reflects lowest approximate price which excludes tax, registration, insurance and cost of accessories.